The satisfaction of our customers, safety at all levels as well as transparent cost efficiency are elements of our mission statement and what we demand of ourselves. SalzburgJetAviation offers its customers an extensive aircraft charter service covering countless destinations and comprehensive aircraft management for business jets. Customised business and private flights will fulfill any needs you might have in terms of time management, time savings and maximum flexibility when planning your travels. Competence and reliability guarantee the smooth operation, regular maintenance and careful servicing of the relevant jets. When we use the term „professional handling“, we mean that your wishes are met quickly, discreetly and at minimum cost – always in connection with our high safety standards. From the qualification and training of our pilots to the maintenance and operation of our modern fleet, top priority is attributed to the safety of the passengers. This is ensured by highly motivated staff members, experienced professional pilots and state-of-the-art technology – both on the ground and up above the clouds. Thanks to the first-class furnishings, our passengers can simply relax and enjoy the flight – perfect for convenient and time-saving business or private trips throughout Europe and the Mediterranean world. 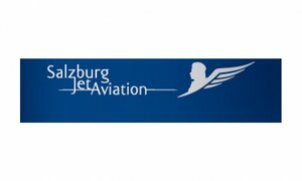 SalzburgJetAviation takes you straight to more than 1500 European airports. Our concern is your satisfaction – the shortest connection, fast and stress-free handling, maximum cost optimisation. Our incentive to act in a customer-oriented and high-performance manner by combining quality consciousness, professionalism and safety.